Today we are happy to announce availability and performance scaling data on Microsoft Azure for STAR-CCM+®, a multidisciplinary engineering simulation solution from CD-adapco, a Siemens Business. In July 2015 we launched Linux RDMA on Microsoft Azure. With the release of this technology we embarked on a new cloud journey to make high performance computing (HPC) mainstream so every engineer or scientist on the planet can take advantage of supercomputing capabilities to solve complex engineering problems. In this quest to make HPC mainstream we understand the importance of the ISV ecosystem. We want to create and nurture a vibrant and open ISV ecosystem for end users and for our partners. This approach puts the customer in the driver’s seat to select and choose key components for their HPC stack on Azure. One of the key elements of any HPC stack is the application layer. 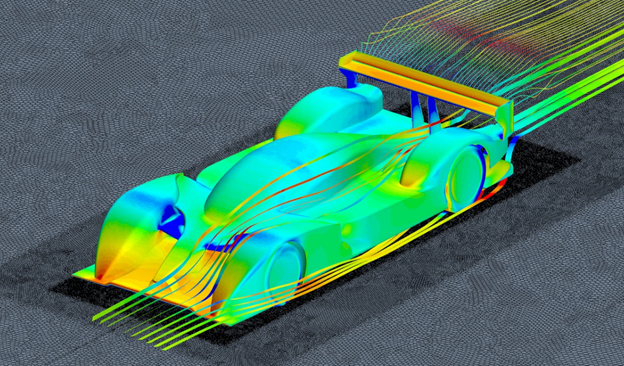 Using CAE (Computer Aided Engineering) applications, engineers are using massively parallel computer systems to solve complex problems, e.g., predicting drag because of the air flow over a car. We have been working closely with CD-adapco over the past several months and see excellent performance and scalability of STAR-CCM+ on the Microsoft Azure Linux RDMA platform (A9 virtual machines in Azure). 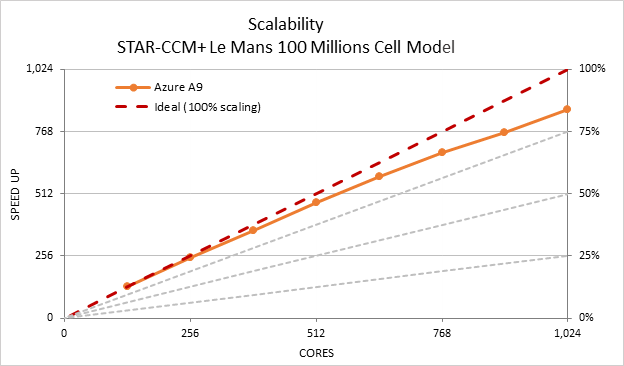 Azure can deliver high level of scalability and performance with STAR-CCM+ because of its dedicated high speed low latency network fabric that uses RDMA and Infiniband technology, available only on A8 and A9 instances. These sizes in Azure provide RDMA virtualized through Hyper-V that delivers great scaling performance because it provides very low close to three microseconds of latency and greater than 3.2 Gbps bandwidth. You can clearly see in the charts below how Microsoft Azure has delivered great scaling up to 1024 cores. We can deliver this level of scaling and performance because of our NO COMPROMISE HPC approach. 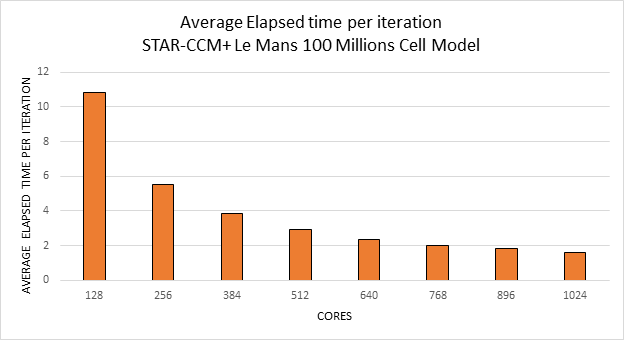 We ran the "Le Mans 100 million cell," CFD simulation model using STAR-CCM+® version 11.02 on Microsoft Azure A9 instances (Intel E-2670 @ 2.6 GHz, Memory 128GB, 1600MHz DDR3, QDR InfiniBand) using Cent OS 7.1, Intel MPI and Intel parallel file system "Lustre." Another pillar of the Azure HPC cloud ecosystem is the ISV application licensing model. ISV application licensing flexibility and affordability are the keys to make HPC more accessible. With its innovative Power Session and Power-on-Demand licensing options, STAR-CCM+ can be distributed across an unlimited number of processors for a fixed cost. This is one of the most innovative and cloud friendly licensing models in the simulation industry. Please visit CD-adapco for more details. We encourage you to try STAR-CCM+ on Microsoft Azure A8 and A9 instances by opening a free trial account in Microsoft Azure and deploy a HPC cluster in Microsoft Azure on A9 instances with Intel Lustre parallel file system.